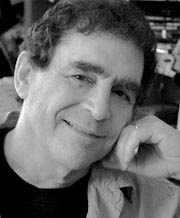 Alan Weisman is an award-winning journalist whose reports have appeared in Harper’s, The New York Times Magazine, The Atlantic Monthly, Discover, and on NPR, among others. A former contributing editor to The Los Angeles Times Magazine, he is a senior radio producer for Homelands Productions and teaches international journalism at the University of Arizona. His essay “Earth Without People” (Discover magazine, February 2005), on which The World Without Us expands, was selected for Best American Science Writing 2000 - 2007. 1. Your new book, THE WORLD WITHOUT US, poses a fascinating, extraordinary thought experiment: if you take every living human off the Earth, what traces of us would linger and what would disappear? It asks what might happen to our world if humans vanished? What was the inspiration for your book? For a long time I’ve sought some fresh, non-threatening approach to disarm readers’ apprehensions about environmental destruction long enough that they might consider the impacts of unbridled human activity on the rest of nature – and on our own fate. I’ve found that theoretically wiping humans off the face of the earth intrigues rather than frightens people. 2. At first glance, the research required to make educated predictions about the future on many parts of the planet seems incredibly daunting. How did you go about this task? To understand how a world without people might be requires learning what the world was like before people existed – which turns out to be different on every continent and island. And then, of course, there is the fact that two-thirds of the world is covered with water. What would the seas be like without us? To get everything I needed, I have been privileged to speak to paleontologists, structural engineers, biologists, art conservators, diamond miners, marine biologists, astrophysicists, and even Buddhist monks, to name just a few. 3. Describe some of the interesting places you traveled to in writing THE WORLD WITHOUT US. The field research included travel to abandoned spots like the Korean Demilitarized Zone; the last relic of primeval European forest (a game preserve since the 14th century on the Polish-Belarusian border); national wildlife refuges in Colorado that were once nuclear and chemical weapons arsenals; ancient and modern ruins in Turkey and Northern Cyprus; Chernobyl; diving in coral reefs in Micronesia’s Line Islands; and several sites in Africa, the Amazon, the Arctic, and Mayan Guatemala. 4. What are some of the changes we could expect in New York City alone if all humans vanished? Within two days, without pumping, New York’s subway would impassably flood. Within twenty years, water-soaked steel columns that support the street above the East Side’s 4-5-6 trains would corrode and buckle. As Lexington Avenue caves in, it becomes a river. In the first few years with no heat, pipes burst all over town, the freeze-thaw cycle moves indoors, and things start to seriously deteriorate. Plugged sewers, deluged tunnels and streets reverting to rivers will conspire to waterlog foundations and destabilize their huge loads, toppling structures. Gradually the asphalt jungle will give way to a real one.